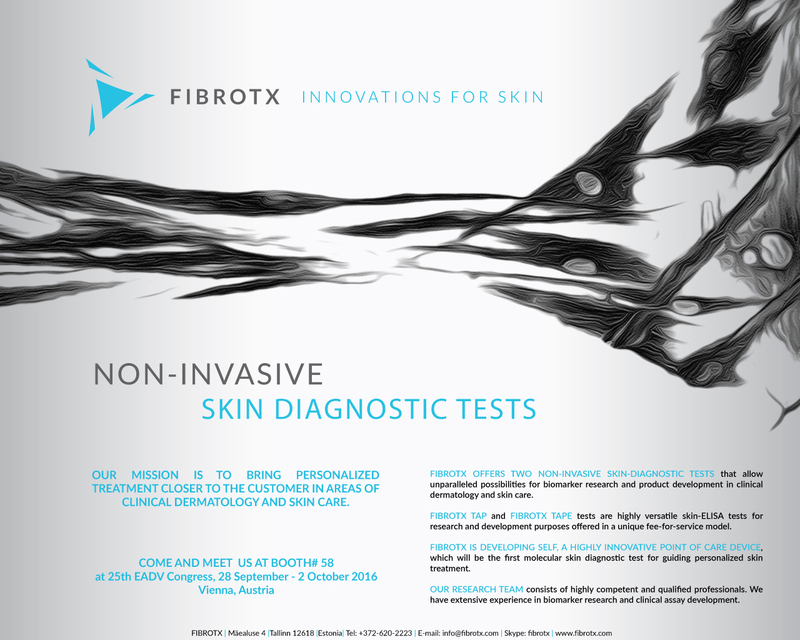 FibroTx will participate at 24th World Congress of Dermatology (WCD) in Milan. Come and meet us in Milan at stand B21! Fibrotx will participate at BIO International Convention, held in Philadelphia PA.
FibroTx will participate at the 77-th SID Annual Meeting held in Chicago, IL, USA. Come and meet Anna and Pieter! 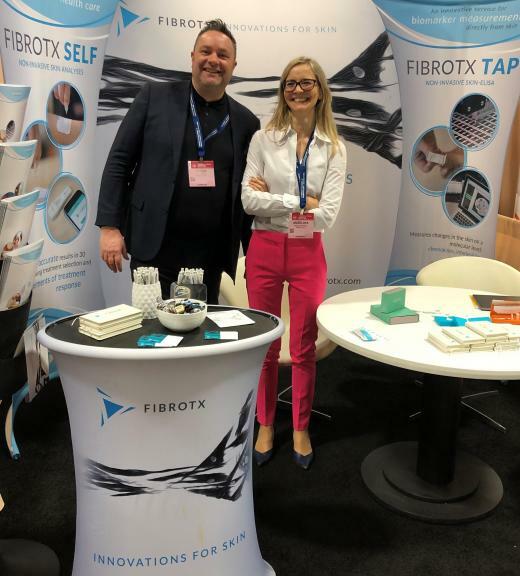 FibroTx participated at AAD Annual Meeting, which was held at Walter E. Washington Convention Center, Washingto DC, USA. Thank You for visiting! Mr. Pieter Spee participated at Bio Europe, held in Bella Center, Copenhagen, Denamrk and represented FibroTx. Thank You all! 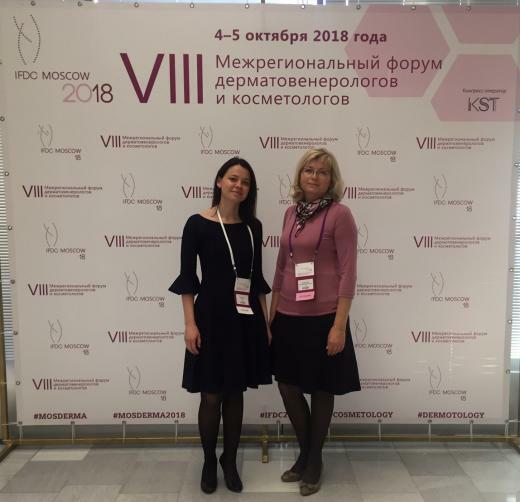 Anna and Jelena participated at Moscow Forum of Dermatovenerology and Cosmetology. 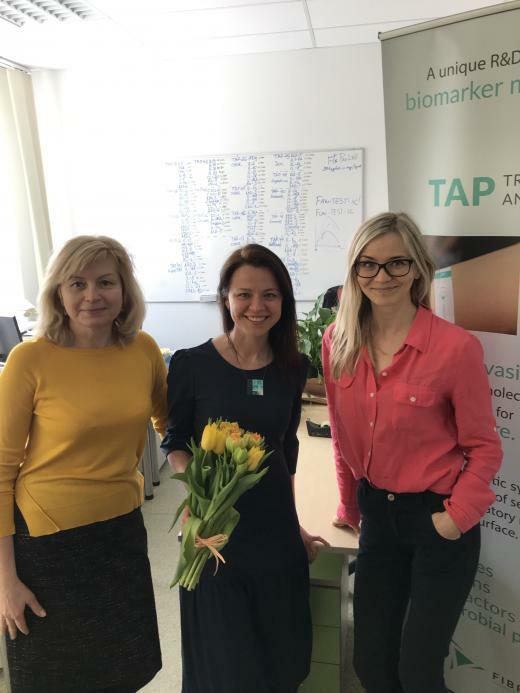 Jelena was also able to give a speech about the new developments in non-invasive skin analyses and science behind FibroTx TAP and SELF technologies. FibroTx participated at 27th EADV Congress 2018 in Paris, France. We thank all that came by! LEO Pharma, a global healthcare company dedicated to helping people achieve healthy skin, and FibroTx have entered a partnership to explore non-invasive skin test technology. FibroTx participated at Skin Forum 2018 Annual Meeting, held at Original Sokos Hotel Viru, Tallinn, Estonia. The conference was organised by The International Association for Pharmaceutical Technology in partnership with Skin Forum. 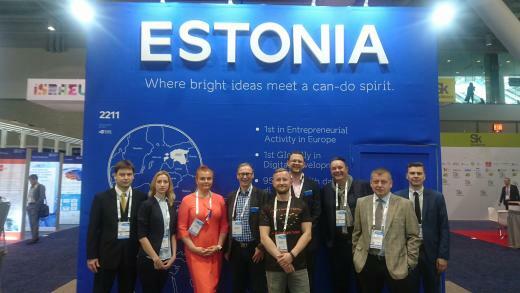 Thank You for visiting Estonian Pavillion Stand and meeting Pieter from FibroTx at the Bio International Convention held in Boston, MA. 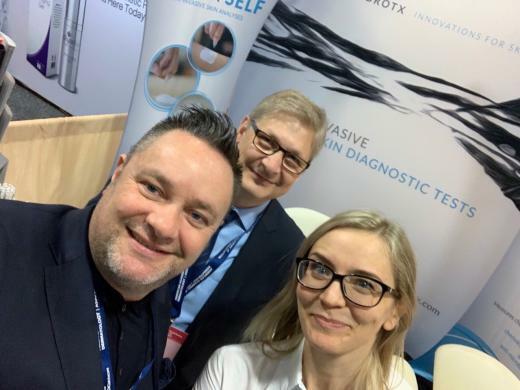 Thank you for visiting our booth and meeting Anna and Pieter at the 7th International Investigative Dermatology Meeting (IID 2018) held in Rosen Shingle Creek Resort, Orlando! See you soon! FibroTx participated at AAD Annual Meeting held in San Diego Convention Center, CA. 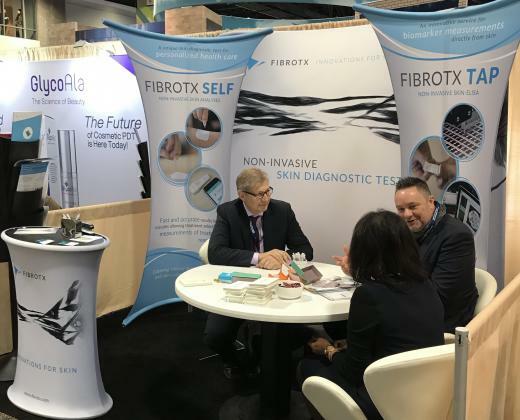 FibroTx participated at Molecular Med TRI-CON at Moscone South Convention Center, San Francisco, CA. FibroTx participated at 47-th Annual ESDR meeting in Salzburg, Austria! Hopefully you had some great and fruitful talks with Betsy and Pieter! See you again soon! 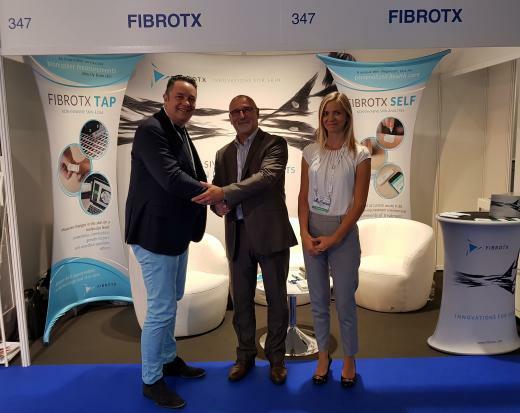 FibroTx participated at 26-th EADV Congress, Geneva, Switzerland. Betsy, Anželika & Pieter were very happy to meet so many bright and innovative minds! Do not forget to follow up! See you again! FibroTx participated at the 2017 SID Annual Meeting in Portland, Oregon. Thank you for coming and meeting us at booth #200! Until next time! FibroTx participated at AAD Annual Meeting in Orlando, Florida. Anželika & Pieter were happy to meet & talk to many proffessionals from skin care and dermatology fields. See you again at AAD in San Diego (16-20.02.2018)! FibroTx participated at Molecular Med TRI-CON at Moscone North Convention Center, San Francisco, CA. Thank You for coming and meeting Kristiina &Pieter at booth #5! FibroTx participated at the 25th EADV Congress held in in Vienna, Austria from 28.09-02.10.2016. FibroTx paricipated at the 46th Annual ESDR Meeting 2016 held in Munich, Germany from 7-10 September 2016. FibroTx attended the AAD's 74-th Annual Meeting in Washington DC. FibroTx participated in 12th EADV Spring Symposium in Valencia, Spain. Symposium was held in Palacio de Congresos, Valencia, Spain. FibroTx attended the 22nd International Molecular Medicine Tri-Conference in San Francisco, 15-20.02.2015. FibroTx participated in the BioJapan 2014 World Business Forum in Pacifico Yokohama, Japan. FibroTx presented at the 23rd European Academy of Dermatology & Venerology Congress in Amsterdam, Netherlands - Booth #135. FibroTx participated in The 44th Annual ESDR Meeting in Copenhagen, Denmark. FibroTx participated in the BIO One-on-One Partnering at the 2014 BIO International Convention in San Diego, CA. FibroTx participated in the BioTrinity 2014 - European Biopartnering and Investment Conference in London, UK. FibroTx participated in the European Workshop on Skin Immune Mediated Inflammatory Diseases in Verona, Italy. FibroTx participated in the Dubai World Dermatology & Laser Conference & Exhibition in Dubai, United Arab Emirates. FibroTx participated in the BioAsia 2013 Convention in Beijing, China. FibroTx participated in the BIO-Europe 2013 - 19th Annual International Partnering Conference in Vienna, Austria. FibroTx participated in the BioTrinity 2013 - European Biopartnering and Investment Conference in Newbury, UK.